Following on from our fun sessions throughout the summer holidays, David has been running more Environmental Learning and Bushcraft sessions at Shortenills Environmental Centre in Chalfont St Giles. The morning sessions are with children aged up to 7 years and those in the afternoon for age 7 and above. They have proved to be very popular, with sessions regularly fully booked. In this weeks session, the younger children made dream-catchers, with a little help from their parents who are actively involved throughout. 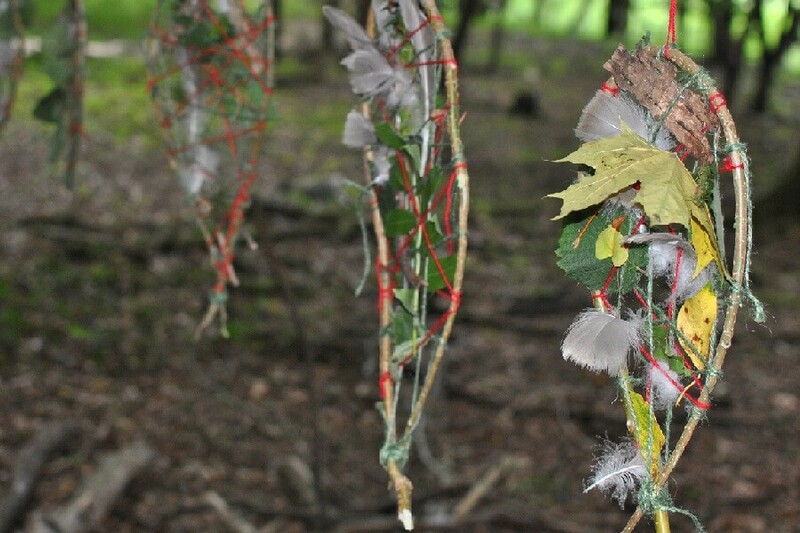 We gathered pieces of green-hazel and bent them into hoops and then created a web of jute string and wool – the n fun began with weaving in things found in the woods: leaves, feathers, pieces of bark and more. It was lovely to seem them turning in the breeze. We finished off with cups of nettle tea, with the kettle boiling over the campfire and nettles foraged from the edge of the woodland. The older group were introduced to the safe use of knives. Each child was shown how to whittle a tent peg, with the younger ones receiving one-to-one instruction and supervision to ensure they had fun and successfully made their tent peg! More nettle tea followed! Other weeks activities included making fat candles. We used a variety of fats, pork lard, beef dripping and vegetable. 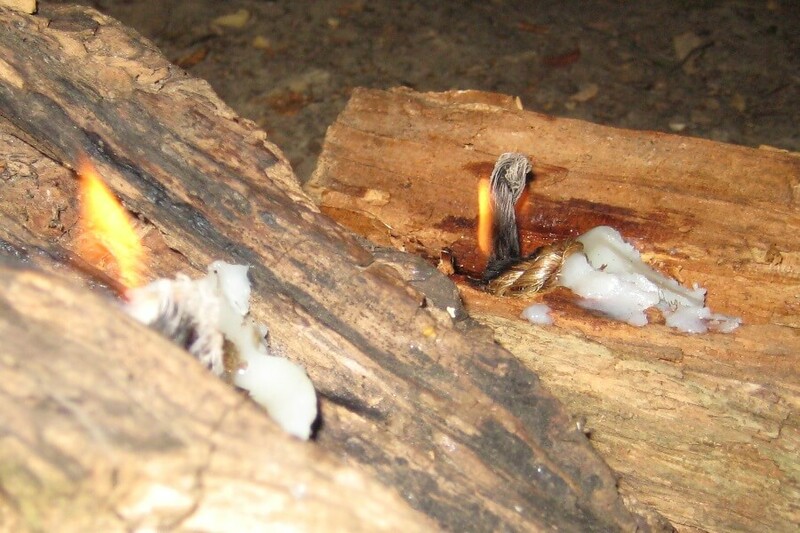 The children found interesting pieces of wood with shallow holes or crevices in which to place their candles. Then we filled them with fat and each child lit a match to light their candle. And yes, we baked bread too. The children made the dough using string bread flour, milk powder and baking powder. 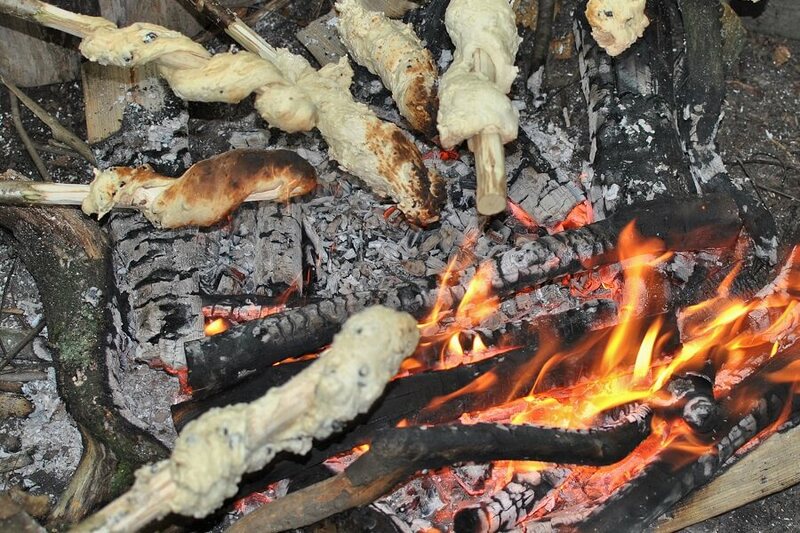 With a little help, they wound the dough around the sticks and cooked them over the campfire. 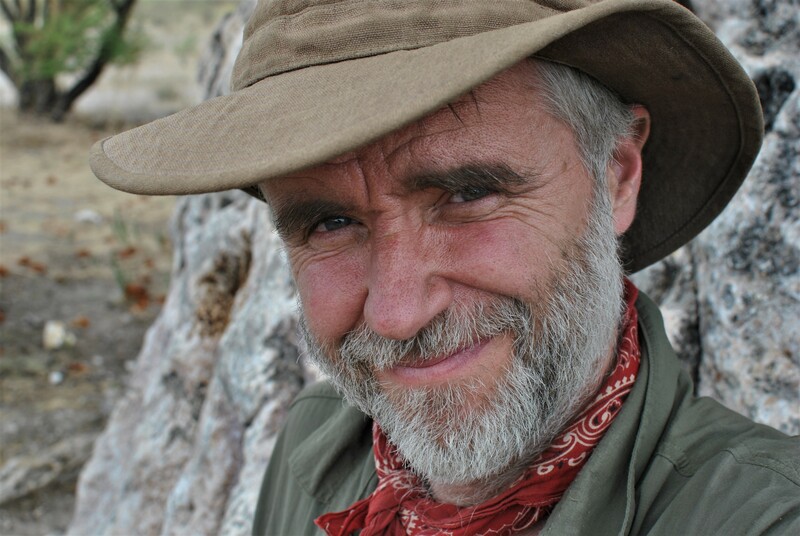 David is looking forward to running more Environmental Learning and Bushcraft sessions – if you’d like to know more the by all means do get in contact – thanks!